Nowhere is this more true than with meal planning when you’re trying to eat better and/or lose weight. Which is why I am so excited to be partnering with my Weight Watcher friend, Kristen from Slender Kitchen, to promote her amazing system for Meal Planning Made Easy (affiliate link). 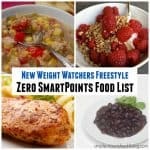 With the introduction of Weight Watchers new Freestyle program this year, having meal plans (affiliate link) with the Freestyle SmartPoints included can make the switch easy and stress free. After decades of trial and error with attempting to balance my love of food and desire to stay slim, I’ve come to understand that home cooking is one of the keys to eating great and losing weight. There’s really no way getting around it. While take-out and eating out are convenient, fun and tasty options, I’m always amazed at how crappy I feel and how quickly the extra pounds appear, when they become a regular way of life. And while I genuinely enjoy cooking, I get tired and overwhelmed sometimes figuring out what to cook. Can’t Decide What to Cook? We’re all too familiar with that dreaded dinnertime dilemma of staring into the fridge wondering what to make; or worse, wandering around the grocery store at the end of a long day trying to come up with a meal idea. It makes me stressed just thinking about it. The solution, of course is planning your meals ahead (affiliate link). But the truth is that creating a meal plan from scratch takes time, lots and lots of time. And most people just don’t have that time. That’s where Slender Kitchen’s Meal Planning Made Easy (affiliate link) meal plans come to the rescue. By doing all the hard work of meal planning for you, she makes it easy to eat healthier, lose weight, and enjoy meals again without stress. No more searching for recipes, figuring out a shopping list, and worrying about what to eat every week. Instead you can enjoy stress-free healthy eating and shopping for less than $1 a week. 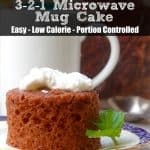 It couldn’t be easier with her family tested healthy recipes and easy to use customizable meal plans (affiliate link). Every week, she sends you a meal plan complete with all the recipes and a grocery shopping list. Leaving you with more time for shopping and cooking. This is not a one-size-fits-all approach to meal planning. There’s something for everyone. Choose your plan: To start you’ll choose a meal plan, indicate your family size, and tell Kristen about your goals. 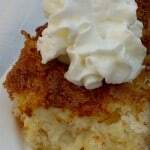 She offers healthy, low carb, and vegetarian diet meal plan options. You can even build your own from a huge collection of over 1200 healthy recipes if you want. Get a new meal plan every Thursday: Each week she sends you a healthy, delicious meal plan complete with yummy recipes, a categorized shopping list, and ideas for easy meal prep. Enjoy healthy, stress free cooking your family will love: No matter which plan you use, you can rest assured that meal time will be delicious, healthy, and stress free. How terrific is that? Imagine never having to spend another Sunday meal planning or another Monday night racing to the grocery store to figure out what’s for dinner. 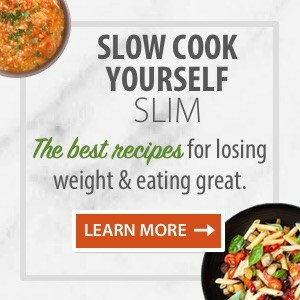 Slender Kitchen has over 1,200 recipes and every day they are adding more, including many of my recipes from Simple Nourished Living. That means you can easily search for my recipes and add them to your meal plan. Ready to jump in! You can try out Slender Kitchen Meal Plans with a 14-day money back guarantee and plans start as low as $4/month. 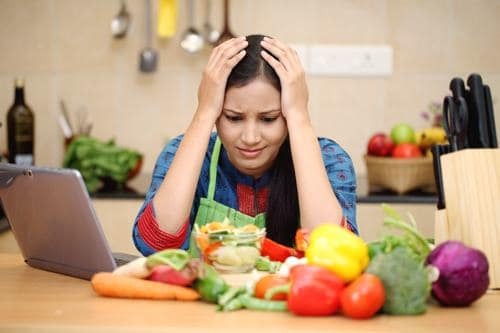 End dinner time stress, stop wondering what to eat, and reach your health and weight loss goals. 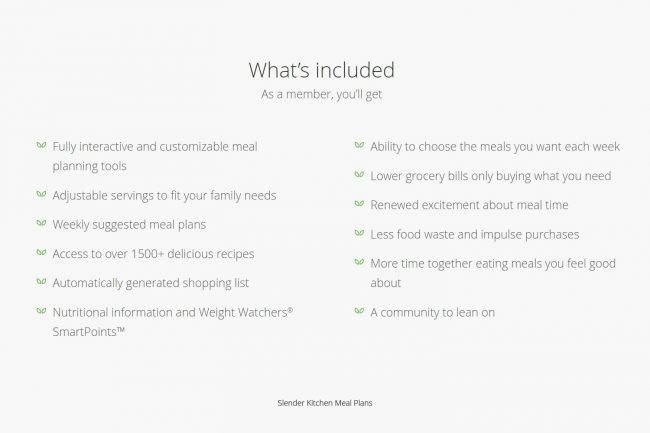 Find out even more about Slender Kitchen Meal Plans (affiliate link). First of all, a huge thank you to Martha for inviting me to talk about one of my favorite things today – meal planning. Not only was meal planning the key to my personal weight loss, it has also cured the dreaded nightly empty stare into the fridge waiting for dinner to jump out. I love it. First, let me share a little of my story. I’m Kristen and I blog and meal plan over at Slender Kitchen. If we traveled back to ten years ago, I was 25 pounds overweight and I couldn’t cook anything that didn’t come in a box. Seriously. I had also tried countless diets, lost and gained weight over and over again, and just couldn’t seem to find anything that worked for me. But at the same time, I couldn’t spend another day feeling the way I did. Something had to change. To make a really long story short, I decided to join Weight Watchers and I loved it almost immediately. I started losing weight the first week, could still enjoy meals out with friends and family, and it felt like something I could stick to long term. However there was one problem, I was living off Lean Cuisines and Smart Ones meals, 100 calorie snack packs, and anything low calorie and frozen. Outside of fruits and the occasional fresh vegetable, it was all packaged foods. I couldn’t be bothered to learn to cook or calculate points. And as you might expect – this got boring and expensive. So I set out to learn to cook. Luckily for me – I instantly fell in love with preparing meals, finding new recipes, and learning new techniques. 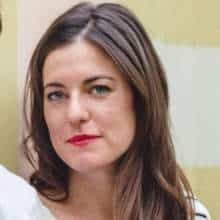 I started eating real food and really began to notice a change in not only how my clothes felt, but more importantly how my body felt when I started feeding it real food. However as you may have guessed, I still had one problem! I wasn’t meal planning so when I got busy, which happened often, I reverted back to my old habits. So much like cooking, I set out to learn to meal plan and am excited to share some of the things I have learned with you today. Set Your Schedule: Whether you decide to meal plan weekly or monthly, it is important to set up your meal plan schedule and dedicate time to find recipes and create your plan. This should also include your shopping day(s) so you can make grocery lists. Personally I like to meal plan weekly. I create my plan Saturday mornings (although I save recipe ideas throughout the week) and shop on Sundays. Create Theme Nights: Starting each week from scratch can make meal planning take forever, so pick theme nights to speed things up and limit your recipe choices. For example, I like to make a slow cooker meal weekly for Sunday dinner and use those leftovers for lunches throughout the week. Monday is Pasta night and Friday is takeout food at home – burgers, pizzas, etc. I also always include one seafood dish, one chicken dish, one beef dish, and one pork dish weekly. This speeds up meal planning immensely since I know what recipes to look for. Some ideas for theme nights could include – Taco Tuesdays, Grilling Night, Meatless Monday, Friday Fish, Pizza Night, Sunday Slow Cooker, etc. Create an Easy System to Save Recipes: One of the best ways to speed up meal planning is to have a go-to place full of recipes that you and your family will enjoy. That way you don’t spend hours searching online. Pinterest is a great place for this. You could also use a 3-ring binder at home, Evernote, or virtually any system that makes it quick and easy for you to find a recipe. 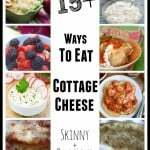 Personally I use Pinterest and then have a category for each theme above – slow cooker, pasta, chicken, seafood, beef, pork, and takeout inspired. Build Your Calendar: Now you want to build your calendar/meal planner. This can take any format – it just needs to be something that works for you. For example, for a quick dinner meal planner, simply fold a paper in half the long way. On once side write your five meals and on the other side build your shopping list. I like to do this by categories for quicker shopping. Then save those sheets in a folder or binder for easy access in the future. Print out, write out, or save recipe links as well for easy preparation. You could also do this electronically in Word, Excel, or Notepad. Anticipate: This is one of the most important parts of successful meal planning – anticipation. First – be realistic about how many meals you will prepare each week. If you always eat out twice a week, don’t plan for those meals. Additionally, consider your schedule. If Wednesdays are always incredibly busy, make Wednesday Healthy Pizza & Salad night and use healthy store bough pizza dough for a quick meal. Monthly Freezer Meals: Since we can never fully plan, I like to make 2-4 healthy freezer meals at the start out each month that I can pull out in a moment’s notice. Usually this includes things like soups/stews, enchiladas, lasagna, stuffed peppers, and other freezer friendly options. Then when I know a hectic week is coming I can plan on these or pull it out when needed. Start Slow: Perhaps the most important tip for beginning to meal plan is to start slow! If you have never meal planned or followed a meal plan before, don’t start out by planning your breakfast, lunch, and dinner. It will take you hours and hours to create the meal plan. Instead start out by planning for 3 dinners and breakfast weekly. See how that goes and then add on as you begin to get better (and more efficient) at meal planning. Slender Kitchen Meal Plans – Healthy, Low Carb Diet, Vegetarian and Weight Watchers® Friendly! 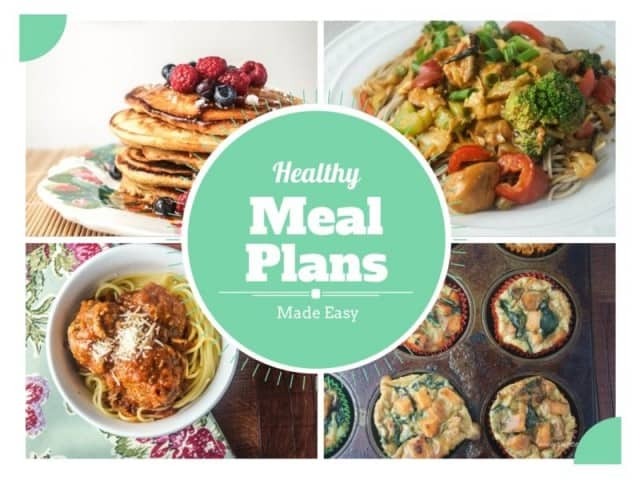 Your membership to Slender Kitchen’s Meal Planning Made Easy (affiliate link) includes access to all of their weekly meal plans including the healthy, low carb, and vegetarian meal plans. Slender Kitchen is not a specific weight loss plan or diet, but can be used to complement virtually any weight loss and has worked for many as a healthy way to lose weight. All meal plans and recipes include nutritional information so you can customize plans to meet your calorie and/or nutritional goals. Additionally, Slender Kitchen is full of healthy recipes for many different diets – Paleo, Low-Carb, Vegetarian, Gluten-Free, Whole30 and more – so it is easy to build a plan to match your needs if our suggested plans don’t work for your diet. 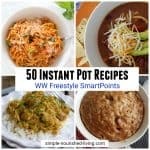 Recipes also include Weight Watchers® Freestyle SmartPoints™. 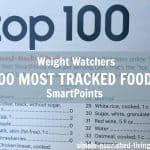 Many Weight Watchers have shared that having the SmartPoints™ included in the menu is a huge help in following the plan. The interactive meal planner works in two ways. First, the interactive meal planner allows you to customize the weekly meal plans. Each week you’ll recieve a suggested meal plan. Then you can delete recipes you don’t like, drag in new recipes you want to use, add snacks, adjust the number of servings, and more. Your recipes and shopping lists will adjust automatically. 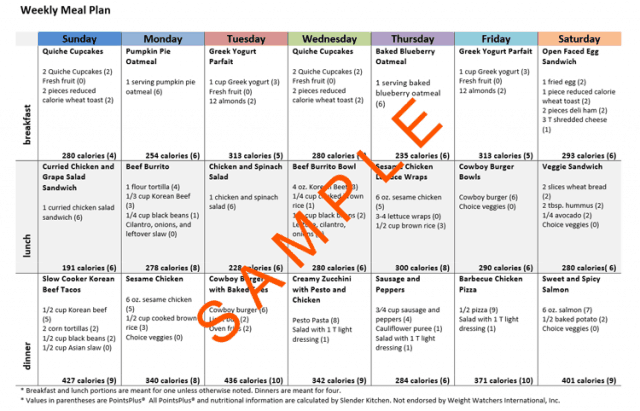 Additionally, the meal planner can be used to build your own meal plans from scratch. You start with a blank calendar and can drag in any of our thousands of recipes you want to prepare. The shopping list for your meal plan is created automatically as well as a downloadable (PDF) file. The great thing about the interactive meal planner is that you get to customize the plans for as many or as few servings as you like. The recipes and shopping lists will adjust automatically for the number of servings you have chosen. You can then customize those meal plans or simply download the plan with your custom servings. For those people using the pre-made meal plans, the plans are available for two and four people. Can I switch between meal plans? Definitely! 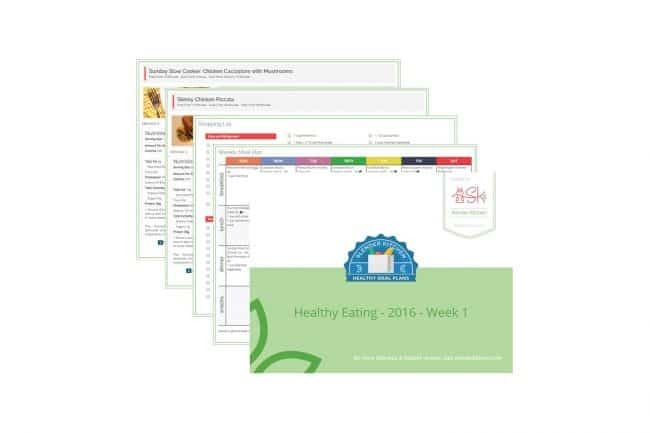 Your membership to Slender Kitchen Meal Planning Made Easy (affiliate link) gives you access to all the meal plans including the healthy, low-carb, and vegetarians plans. Plus you can always build your own. Can I add my own items to the shopping list? Absolutely! 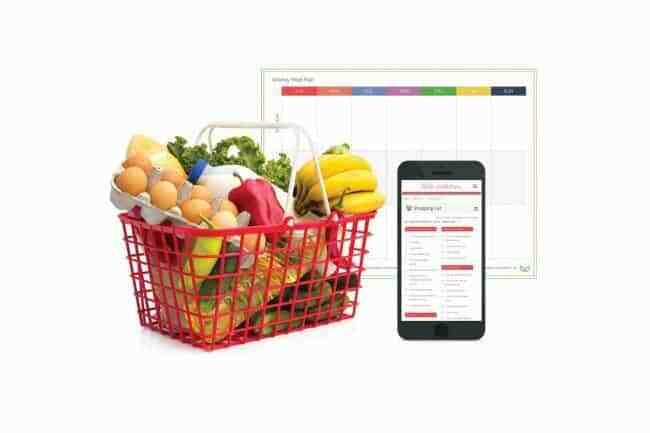 The interactive meal planner allows you to add any of your own items to the shopping list. For those people choosing to use the pre-made meal plans for 2 or 4 people, there is a space in the .pdf to write in your own items. Can I just use the meal planner to make my own meal plans? Of course! The meal planner can be used to customize SK’s plans or create your own from scratch. I just need ready to go meal plans, do you offer that? Yes! Although many users prefer to use the meal planner to customize the meal plans to fit their needs and family size, we know some people just want to convenience of downloading a meal plan that’s ready to go. For that reason, every week Healthy, Vegetarian, and Low Carb Complete Meal Plans and Dinner Only Meal Plans for 2 or 4 people are offered as a simple, one click download. This will include all the recipes you need, a categorized shopping list, and calendar of you meals. Do the meal plans work for people on Weight Watchers? Weight Watchers® SmartPoints™ are included in all recipes so that people following Weight Watchers® can also use the plan. Many members have shared that the meal plans have made the adjustment to the new system much easier since they have a week’s worth of meals and recipes with everything calculated for them. How to Get Started with Meal Planning Made Easy Today! Ready to jump in! You can try out Slender Kitchen Meal Plans (affiliate link) with a 14-day money back guarantee and plans start as low as $4/month. I need gallbladder friendly diet recipes do if you can help me with that? Hi Sue, I’m not sure I know what kinds of recipes are required on a gall bladder friendly diet?